Under the 2016 School Readiness Tax Credit Act, eligible staff members of child care and early childhood education programs may apply for a refundable state income tax credit of up to $1,500. Providers of qualifying programs can apply for a separate nonrefundable credit. The state Department of Revenue may approve up to $5 million in credits each year. 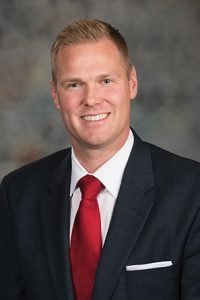 Omaha Sen. Brett Lindstrom, sponsor of LB266, said current law makes it impossible for a significant number of the state’s child care professionals to qualify for the credits. “As a result, these quality and affordability incentives for child care providers have been significantly underutilized since the tax credits became available two years ago,” he said. LB266 would amend the act so that self-employed individuals who provide child care and early childhood education are eligible to claim the staff member credit. It also would allow tax credits awarded to eligible providers that are formed as pass-through entities to be distributed as income. Tracy Gordon, co-executive director of the Nebraska Association for the Education of Young Children, testified in support of the bill. She said it was the act’s intent to make the tax credits available to all early childhood educators and programs in the state. The state Department of Revenue estimates that LB266 would reduce state revenue by approximately $71,000 in fiscal year 2020-21 and an additional $81,000 in FY2021-22. 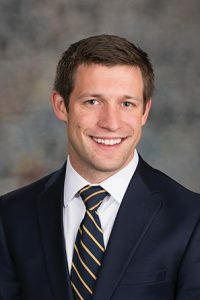 Under LB272, introduced by Lincoln Sen. Adam Morfeld, a taxpayer could apply to the state Department of Revenue for nonrefundable income tax credits for each apprentice it plans to employ as part of a qualifying apprenticeship training program during the following calendar year. A qualified program would consist of 1,200 to 8,000 hours of on-the-job training. Credits would equal $1 per each hour that the apprentice is expected to work during the year. LB272 would limit the credit for any individual apprentice to the lesser of $2,000 or 50 percent of the apprentice’s total expected wages. The department could award up to $2.5 million in credits per calendar year. Credits claimed but not used in a taxable year could be carried forward. Testifying in support of the bill was Chris Callihan, business manager with International Bureau of Electrical Workers Local 265 in Lincoln. He said the proposed tax credit would encourage contractors to hire from approved apprenticeship training programs, which provide their apprentices with better safety training and career guidance than other programs. “I think this creates an incentive for the contractors that aren’t necessarily taking advantage of an apprenticeship program to look at it,” Callihan said. No one testified in opposition to either bill and the committee took no immediate action on them.